We design and manufacture custom blankets. Individual and bulk orders. Choose from stock designs or submit your own image to see your design knit directly into a blanket. Many colors to choose from and each blanket can have up to 8 different colors. GAIN Capital is a US-based provider of online trading services, headquartered in Bedminster, New Jersey. The company provides market access and trade execution services in foreign exchange, contracts for difference (CFDs) and exchange-based products to retail investors. Trading is provided via one of two electronic trading platforms, its own proprietary FOREXTrader PRO, or MetaTrader 4. GAIN Capital allows retail and institutional clients to speculate on global foreign exchange markets in what is known as ‘margin forex trading'. Contractor Service is a New Jersey based company that has been providing construction & industrial products as well as equipment to customers since 1986. We sell, service, and provide parts for most popular brand name products. Safety equipment, tools, machines and materials; you name it we've done it. Loss mitigation, restructures and, if necessary, expedited foreclosures are our specialty, maximizing cash flow and returns our mission. Investors Bank is a publicly traded, full-service bank that is based in Short Hills, New Jersey, USA. The PHH Corporation is an American financial services corporation headquartered in Mount Laurel, New Jersey which provides mortgage services to some of the world's largest financial services firms. PHH is the biggest U.S. outsourcer of home loans, processes and originates mortgages on behalf of small banks and some of the world's largest financial firms, including Morgan Stanley and HSBC Holdings Plc. Provident Financial Services, Inc. is the holding company for Provident Bank. 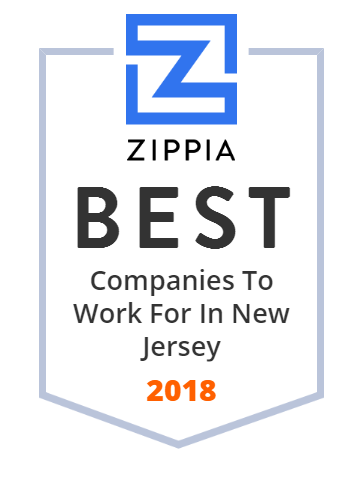 Established in 1839, Provident Bank emphasizes personal service and customer convenience in attending to the financial needs of businesses, individuals and families in New Jersey and eastern Pennsylvania. The bank offers a broad array of deposit, loan, and investment products as well as trust, fiduciary and wealth management services through its wholly owned subsidiary, Beacon Trust Company. Quality Packaging Specialists International is the best in contract manufacturing and packaging services. Our nearly limitless packaging options provide the variety you need to showcase your product. The world's finest companies depend on QPSI. Rentalift serves the North & Central Jersey Area and New York Area. Also Serving the New Jersey and New York Event Area. They deliver in 1 hour within a 15-20 mile radius of Paterson NJ. They have Sit-down indoor propane forklifts and electric sit-down forklifts available. Their Forklift capacities range from 3,000 lb. To 15,500 lb. Industrial burners, ribbon burners, fishtail burners for plastics and glass. Brazing tips, air-gas venturi mixers, and furnace burners for heat treating. Flame testing equipment, Blowpipes, and Flame Safety Equipment. DunRite is a leading provider of sand and gravel products. Their products are ideal for all types of commercial and residential ground covering applications. BLT+CO is a full service production company that specializes in creating unique events that "wow" through custom production, fabrication, lighting, staging, scenery, audio and more. JNET Communications, LLC, through its subsidiaries, provides customer management and fulfillment services. The company offers call center services, including customer sales, technical support, market research, lead generation, and technical capabilities for various industries, such as insurance, cable/video/high-speed Internet/VoIP, automotive, wireless, and utility/energy. The company also provides cable network installation, construction, and support services, including in-home and business network installation and repair, network construction services, and first and second tier technical support. JNET Communications, LLC was founded in 2003 and is based in Warren, New Jersey. The company has locations Carrolton and Houston, Texas; Atlanta, Georgia; Baltimore and Rosedale, Maryland; Pennsauken, Pennington, and Union, New Jersey; Mechanicsburg, Pennsylvania; Livonia, Michigan; Machesney Park, Illinois; Millford, Connecticut; and Sydney, Canada. NVE Bank offers an extensive range of personal and business products and services. With 12 offices throughout Bergen County, it is one of the strongest community-based organizations in New Jersey. Free Shipping on Bulk Gun Ammo for Sale at AmmoMan.com - Try Us Once and You'll Never Pay Shipping for Bulk Ammunition Again. through appreciation in the value of an evolving array of assets. National Granite Title provides real estate professionals in New York and New Jersey with Title Insurance. Complex commercial transactions as well as single-family homes are handled in house by expert attorneys and paralegals. At OceanFirst they care about their neighbors. That's why you will often see OceanFirst bankers coaching Little League, volunteering at local hospitals, and even building houses with Habitat for Humanity. But these are just a few of the many organizations that receive their support. They are committed to helping Their community. If you're looking for diversity in banking services, backed by a personalized feel at every touchpoint, South Jersey Federal Credit Union is the banking institution for you. AM Best is a US-based credit rating agency headquartered in Oldwick, New Jersey, that focuses on the insurance industry. Allan Industries, Inc., offers commercial and construction cleaning services as well as disaster restoration. Bridge the gap between offline and online marketing to deliver relevant messages across multiple channels and devices to reach your desired audiences. We take pride in the safe and conservative manner we have operated Somerset Savings Bank since its establishment in 1887. Since the day we opened our doors, we have focused on meeting the changing needs of our customers and the communities where they live. Sun Bancorp, Inc. operates as the bank holding company for Sun National Bank that provides an array of community banking services to consumers, small businesses, and mid-size companies. The company accepts various deposits, such as checking, savings, money market, time deposit certificate, individual retirement, and business checking accounts. Its loan products include term loans, lines of credit, and commercial mortgages, as well as lines of credit of overdraft sweeps. The company also provides cash management services comprising online banking, electronic bill payment and wire transfer, lockbox, merchant, remote deposit, and controlled disbursement services; and investment services, including insurance, annuities, mutual funds, securities, and other investment services. As of December 31, 2016, it operated 35 locations primarily in New Jersey, which included 30 branch offices; and 1 loan production office in New York. Sun Bancorp, Inc. was founded in 1985 and is headquartered in Mount Laurel, New Jersey. South Jersey Gas provides safe, reliable and affordable natural gas service to more than 385,000 customers in NJ. Follow us for articles, news & savings tips. First Hope Bank has six full-service offices in Northwest NJ and online at FirstHope.com. Reminder: never post your personal financial information on this page. Sussex Bancorp operates as a bank holding company for Sussex Bank that provides commercial banking and related financial services to individual, business, and government customers. It operates through two segments, Banking and Financial Services; and Insurance Services. The company s deposit products include personal and business checking accounts, time deposits, money market accounts, savings accounts, NOW accounts, and demand deposits. Its loan portfolio comprises commercial loans, such as commercial and industrial, commercial real estate, and construction loans; and residential real estate, consumer, mortgage, home equity, and personal loans. The company also operates as a full service general insurance agency, which offers commercial and personal lines of insurance. It operates eight branches located in Sussex County, New Jersey; one branch in Warren County, New Jersey; one branch in Bergen County, New Jersey; and one in Queens County, New York. The company was founded in 1975 and is based in Rockaway, New Jersey. 1st Constitution Bancorp is a bank holding company based in Cranbury, New Jersey that operates 1st Constitution Bank. Marlin Business Services Corp. provides commercial equipment financing and working capital loans to small businesses nationwide. Atlantic Stewardship Bank, with branches in Bergen, Passaic and Morris Counties, New Jersey, offers personal banking, business banking and investment services. As the respected temporary site services industry leader in the Northeast, JOTS strives for 100% customer satisfaction by providing a healthy, clean environment in each of our rental products. The JOTS 25-point inspection directly reflects our commitment to excellence in meeting your portable sanitation needs.